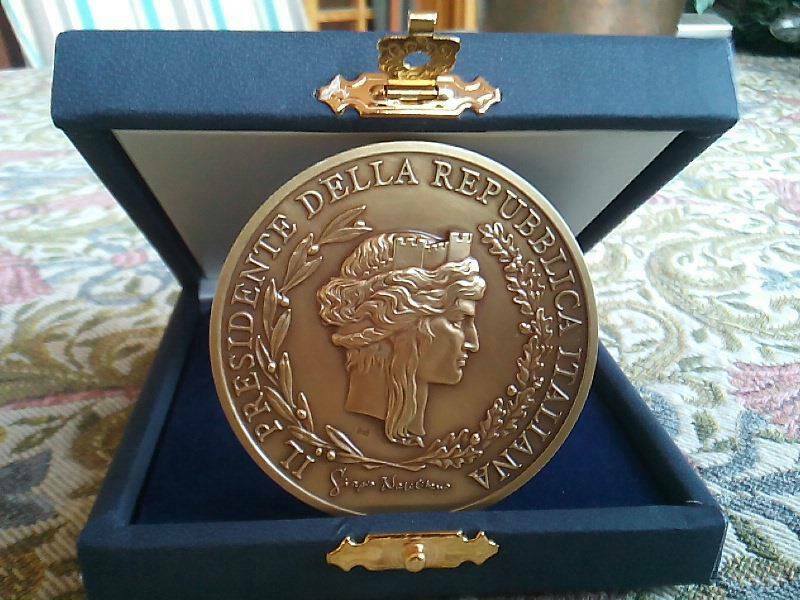 The AIF – Italian Association of professional Trainers, has published an interview to Mario A. Rosato about his vision on how the make effective corportate training courses. The complete text, in Italian, http://associazioneitalianaformatori.it/mario-rosato/, explains Rosato’s field experience in training biogas plant operators. 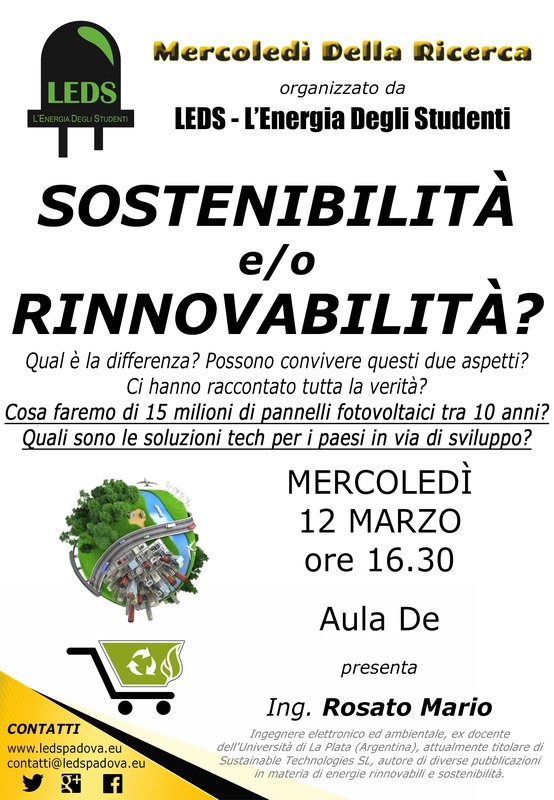 Mario A. Rosato was invited by LEDS – L’Energia Degli Studenti (students’ organization of the engineering faculty) to give a lecture on sustainability on 12th March 2014 . The slides can be downloaded here (in Italian only). 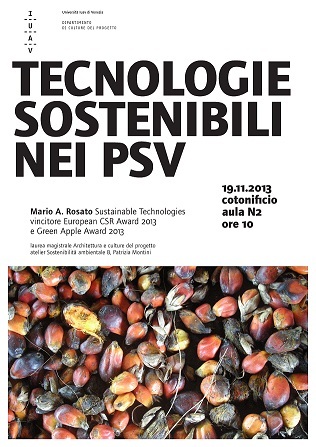 On 19th November 2013 Mario A. Rosato gave a lecture on sustainable technologies at the IUAV (University Institute of Architecture of Venice). The arguments ranged from the definition of sustainable technology to an example of sustainable palm oil production in Africa. Video of prof. Mario A. Rosato’s conference on biogas from urban waste (in Italian). Moderator dr. Piero Mattirolo , President of Agroenergia. Mario A. Rosato and Simon Greer, winners of the CEA-Innocentive challenge on e waste recycling (recovering lead from CRT glass) present their solutions during the E-Scrap conference in Orlando, USA. Panel moderator Allison Schumacher, Policies Senior Manager of CEA (Consumer Electronics Association). With thanks to Mrs. Julie North for the video recording. 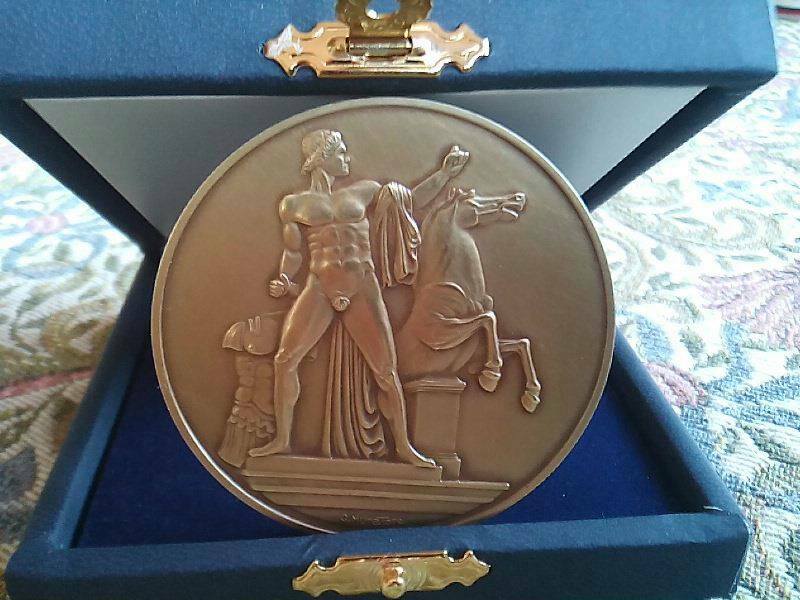 Presentation in PDF available on request, please fill in the form. An article (in Italian) was published by Agronotizie. The MALENA Project – Which kinds of biomass for Sicily? Conference on which biomass types are more suitable for the agroenergy development of Sicily. The venue was held in the Experimental Agricultural Station of Caltagirone, Sicily (Italy) on 7th December 2012. The first results of the MALENA Project were presented to a public of over 50 key stakeholders of the local agricultural sector, Authorities and University researchers. Video of Mario A. Rosato’s lecture on the biogas yield of two common biomasses for biogas production, sorghum and corn grown under Sicilian climatic conditions, and discussion on more sustainable alternatives. Prof. Jing Liu, of the University of Lund (Sweden) presented his views on the future trends in R&D and the challenges of technology transfer to the biogas industry. The conference, organized by Agroenergia, took place in Vercelli, Italy, on 16th Nov. 2012. In the next links it is possible to download the text in English and the translation into Italian of the slides. prof. Jing Liu – The development of the biogas technology from Mario Alejandro Rosato on Vimeo. Mario A. Rosato explained the biological aspects of the anaerobic digestion of urban waste on 19th Oct. 2012 at the Technology Pole of Pordenone.